Leo M. Newman is Of Counsel to the Firm, but retired from active practice. Leo M. Newman is a graduate of the Washington University School of Law. He received his undergraduate education at Washington University where majored in Political Science with a Bachelor of Arts degree. 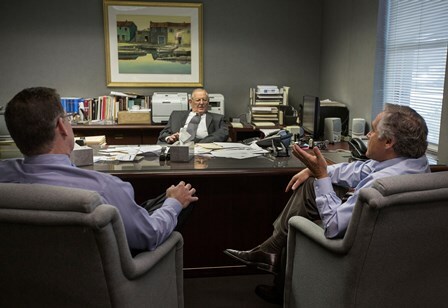 In 1958, with then-partner Samuel Goldenhersh, Leo Newman founded this firm and built his practice with a commitment to providing zealous legal advocacy for victims of others' wrongdoing. 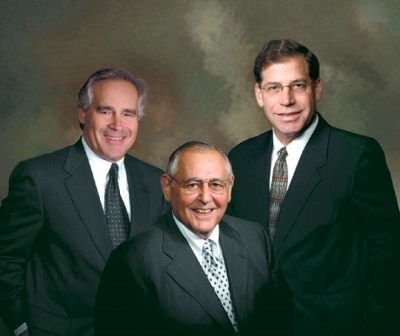 After several years of practicing with Mark Bronson, Leo and Mark worked together to direct the newly-named Newman & Bronson towards its place as one of St. Louis’ preeminent personal injury law firms, known around the country for its compassionate legal representation. In addition to his trial successes, Leo has long held the highest AV Peer Review Rating by Martindale Hubbell and has been active in professional legal and community organizations. In 2014, Leo Newman retired from active practice, but remains Of Counsel at the firm now known as Newman Bronson & Wallis and continues to be a cheerful presence in the NB&W offices.